In this paper, we explain the rumor spreader model with a differential equation system and analyses and consider this system in dynamical system view. The model which we consider in a society contains ignoring, spreading, stifle and controlling factors. In this work, we study on a new rumor spreading model, Ignorant-Spreader-Stifler-Controller (ISRC) model, is developed. The model extends the classical Ignorant-Spreader-Stifler (ISR) rumor spreading model by adding a new kind of people that spread a new rumor against previous rumor to control and reduce the maximum rumor influence.The model is an extension of SIR model which has studied before. In this research, we give a dynamical system which explains SIRC dynamical factors. Moreover, we consider the equilibrium conditions near the equilibrium point. Zhang, Z. L., & Zhang, Z. Q. (2009). An interplay model for rumour spreading and emergency development. Physica A: Statistical Mechanics and its Applications, 388(19), 4159-4166. Galam, S. (2003). Modelling rumors: the no plane Pentagon French hoax case. Physica A: Statistical Mechanics and Its Applications, 320, 571-580. Kimmel, A. J. (2004). Rumors and the financial marketplace. The Journal of Behavioral Finance, 5(3), 134-141. Kosfeld, M. (2005). Rumours and markets. Journal of Mathematical Economics, 41(6), 646-664. Kosmidis, K., & Bunde, A. (2007). On the spreading and localization of risky information in social networks. Physica A: Statistical Mechanics and its Applications, 386(1), 439-445. Wang, Y. Q., Yang, X. Y., & Wang, J. (2014). A rumor spreading model with control mechanism on social networks. Chinese Journal of Physics, 52(2), 816-829. Thomas, S. A. (2007). Lies, damn lies, and rumors: an analysis of collective efficacy, rumors, and fear in the wake of Katrina. Sociological Spectrum, 27(6), 679-703. Bhavnani, R., Findley, M. G., & Kuklinski, J. H. (2009). Rumor dynamics in ethnic violence. The Journal of Politics, 71(3), 876-892. Daley, D. J., & Kendall, D. G. (1964). Epidemics and rumours. Nature, 204(4963), 1118. D. Maki, M. Thomson. (1973). Mathematical Models and Applications, Prentice-Hall, Englewood Cliffs. Pittel, B. (1990). On a Daley-Kendall model of random rumours. Journal of Applied Probability, 27(1), 14-27. Lefevre, C., & Picard, P. (1994). Distribution of the final extent of a rumour process. Journal of Applied Probability, 31(1), 244-249. Gu, J., Li, W., & Cai, X. (2008). The effect of the forget-remember mechanism on spreading. The European Physical Journal B, 62(2), 247-255. Huo, L. A., Huang, P., & Fang, X. (2011). An interplay model for authorities’ actions and rumor spreading in emergency event. Physica A: Statistical mechanics and its applications, 390(20), 3267-3274. 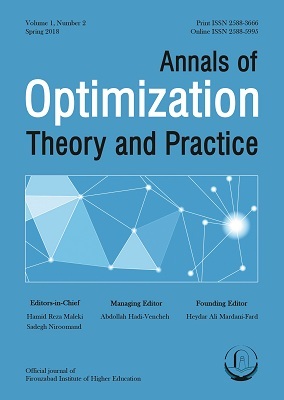 Zhao, L., Wang, Q., Cheng, J., Chen, Y., Wang, J., & Huang, W. (2011). Rumor spreading model with consideration of forgetting mechanism: A case of online blogging LiveJournal. Physica A: Statistical Mechanics and its Applications, 390(13), 2619-2625. Wang, J., & Wang, Y. Q. (2015). SIR rumor spreading model with network medium in complex social networks. Chinese Journal of Physics, 53(1), 020702-1. Zhao, X., & Wang, J. (2013). Dynamical model about rumor spreading with medium. Discrete Dynamics in Nature and Society, 2013. Zanette, D. H. (2001). Critical behavior of propagation on small-world networks. Physical Review E, 64(5), 050901. Zanette, D. H. (2002). Dynamics of rumor propagation on small-world networks. Physical review E, 65(4), 041908. Moreno, Y., Nekovee, M., & Vespignani, A. (2004a). Efficiency and reliability of epidemic data dissemination in complex networks. Physical Review E, 69(5), 055101. Moreno, Y., Nekovee, M., & Pacheco, A. F. (2004b). Dynamics of rumor spreading in complex networks. Physical Review E, 69(6), 066130. Moreno, Y., Pastor-Satorras, R., & Vespignani, A. (2002). Epidemic outbreaks in complex heterogeneous networks. The European Physical Journal B-Condensed Matter and Complex Systems, 26(4), 521-529. Dietz, K. (1967). Epidemics and rumours: A survey. Journal of the Royal Statistical Society. Series A (General), 505-528. Zhao, L., Wang, J., Chen, Y., Wang, Q., Cheng, J., & Cui, H. (2012). SIHR rumor spreading model in social networks. Physica A: Statistical Mechanics and its Applications, 391(7), 2444-2453. Sudbury, A. (1985). The proportion of the population never hearing a rumour. Journal of applied probability, 22(2), 443-446. Sharomi, O., Podder, C. N., Gumel, A. B., Mahmud, S. M., & Rubinstein, E. (2011). Modelling the transmission dynamics and control of the novel 2009 swine influenza (H1N1) pandemic. Bulletin of mathematical biology, 73(3), 515-548.